Pitcher, 76 oz., footed, glass, Crisa, ATLANTIS (6 each per case), (Top diameter 5.75", bottom diameter 3.50"). 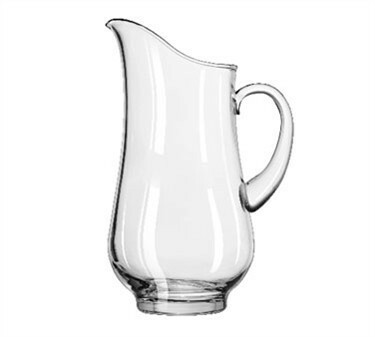 Libbey Pitcher. With innovation as its cornerstone, Libbey quality, consistency, and exceptional customer service have become the standard in the industry. Libbey continues to invest in state-of-the-art production equipment and faster and more efficient manufacturing technologies, allowing it to create the most significant introductions in the foodservice and consumer markets.